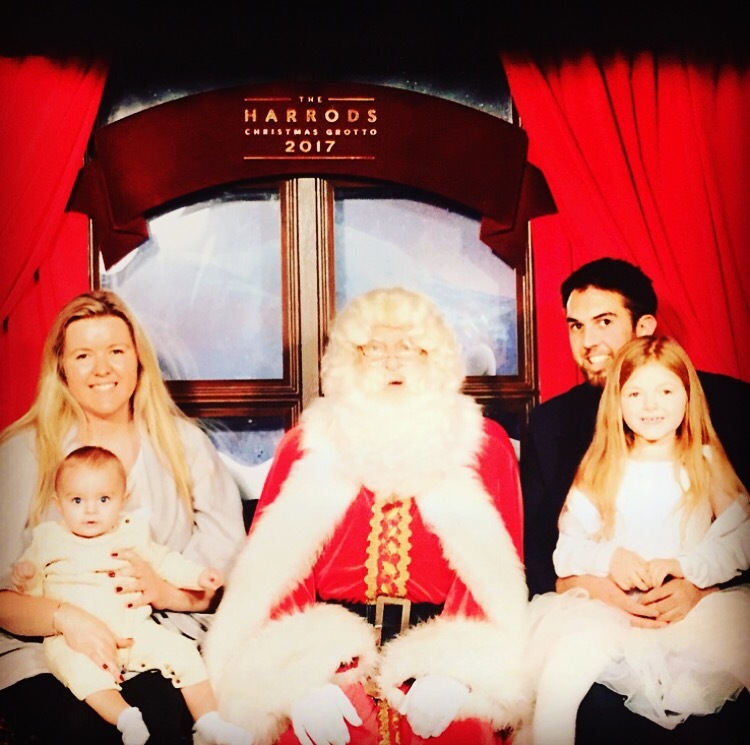 We were lucky enough to get tickets to see Father Christmas at Harrods grotto this year. I have been a few times before and always found it a lovely experience – but this year was even better. We arrived a little bit earlier than our allotted time slot and were allowed straight through (this could be because we went on a quiet day) where we were greeted by Ginger the elf and his friends who pointed us in the direction of the comfy bean bags and sofas ready for the show to begin. The elves put on a funny little skit for the children with magic, silliness and really fully engaged all the children. I have a six year old and an eight month old who were both laughing their heads off. While seated I noticed all the children’s names where written on the blackboard (they had let through three families into the ‘waiting area’) and referred to the them by name which they loved! 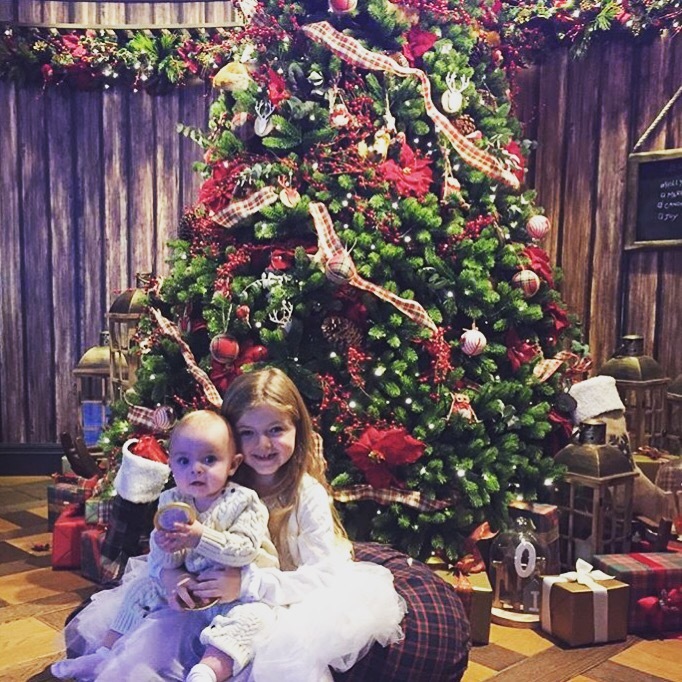 Once the show was finished they handed all the children a big gold coin and told us parents/carers that we could take pictures while we waited – which we did in front of their gorgeous tree. 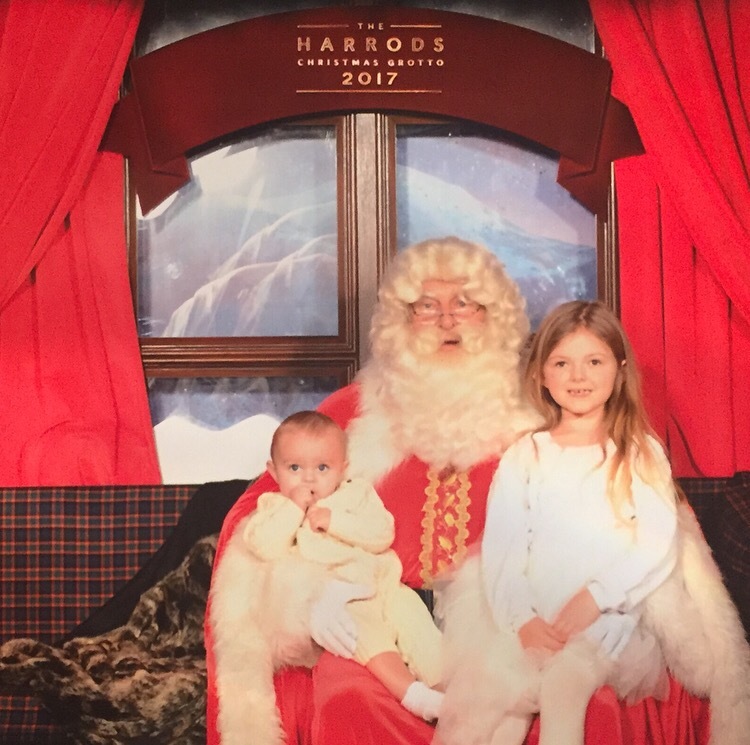 Then after only a few minutes wait, one by one the families were called in to meet Santa and he did not disappoint! As soon as the door opened my daughters eyes widened with excitement. Santa was wonderful, he called her by her name without having to ask it first and also knew that she had started gymnastics this year (they ask for your children’s names, ages and something memorable that’s happened this year when you book online) he was brilliant, so patient and engaging with the children but also had a laugh with the parents aswell. We weren’t hurried at all. His lovely elf managed to get the baby’s attention long enough for us to get some great pictures that we’ll treasure forever and I was blown away by the presents they both received! 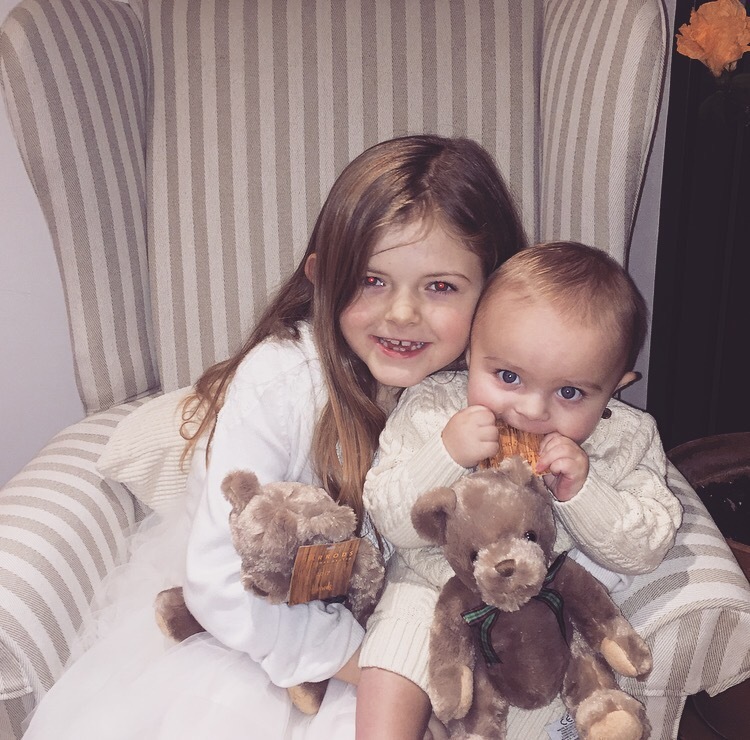 They were handed a red Harrods bag with a gorgeous brown teddy bear inside, with Harrods embroided on the foot and a Harrods ribbon bow tie!